Beat the After Sun Blues! Coola (SPF 45) is one of our favorite classic sunscreens, providing powerful protection, custom made for those leading an active outdoor life. Endorsed by the American Lifeguard Association, this sweat-proof formula is the best we’ve got! If you’re looking for a mineral alternative to classic sunscreen, Alba Botanica’s Natural Mineral Sunscreen (SPF 30) uses a chemical-free formula that provides excellent protection from the sun without compromise. Orly’s Sunscreen for Nails is a must-have. As you beach-babes know, after long hours in the sun, your manicure can become discolored and faded. Sunscreen for Nails is a high-shine topcoat that protects the colors beneath it with its UV absorbent formula. Rene Furterer’s Protective Summer Oil (KPF 90) uses sesame and castor oils with UV sunscreen to ensure protection for exposed hair while swimming and sunbathing. It’s waterproof formula is a must for any beach bag. The absolute best in the business, Hempz After Sun Gel soothes heat and pain from sun-burnt skin, prevents peeling and uses the nurturing qualities of hemp seed oil and tea tree oil to start repairing skin damage and even minimize the look of fine lines and wrinkles! Bed Head Some Like It Hot Heat & Humidity Resistant Serum is not only treatment oriented, but also for prevention. It, along with the Some Like it Hot Shampoo and Conditioner provide a shield to help hair that will be in the sun and water constantly. This product in particular, though, is essential after sun, taming frizz and re-moisturizing burnt-out hair. Rene Furterer Repairing After Sun Shampoo is specifically designed to combat the drying effects of sun, salt water and even chlorine, enriched with palm butter to restore shine and softness to your hair! Awesome. So, enjoy the sun, ladies, but care for yourself while you’re doing it! Check out these products and more at http://www.beautyofasite.com to help you enjoy the summer in style! I’m a Starbucks junkie. I spend a significant amount of cash and calories every winter on Pumpkin Spice Lattes. So, you can imagine my excitement when this year’s Hempz Treats included not only Mint Chocolate Cocoa, Sweet Vanilla Eggnog and Warm Apple Cider, but most importantly, Pumpkin Spice Latte scented high quality lotion. Hempz Treats dessert fragranced lotions are infused with organic hemp seed oil for long term moisturizing. Rich in antioxidants and skin conditioners, each daily moisturizing blend celebrates the fragrances of cozy winters, nourishing your body when your dry skin needs it most. 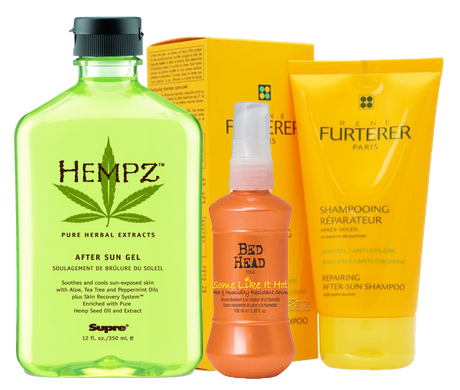 For the month of February, all scents and both sizes of Hempz Treats Lotions are 20% off. Go ahead; save yourself the calories and indulge in your favorite tastes of the chilly season while deeply nourishing your skin. Guiltlessly! Click here to start shopping for your favorite dessert! Embrace Juara & Embrace Luxury! Introducing: Juara Skincare and Spa Treatment products! We are happy to announce that we’re now selling Juara, one of the world’s most creative, mysterious and luxurious product lines, featuring an infusion of Indonesian herbal spices and the most advanced skin treatment research. Each Juara product uses a powerful and pure set of active botanicals that is extremely effective while being gentle, safe and extremely nourishing for your skin. This “east meets west” skincare line was founded by four friends, dedicated to drawing upon the wisdom of ancient spa practices and combining those riches with everything that modern science has to offer. The result of their hard work and passion: Juara Skincare & Treatments. Click here to browse all of Juara’s unique and luxurious products! Help us Save our Little Piece of the Planet! Happy Earth day to our fans and friends! Today reminded us about the importance of being green. Saving the Earth and caring for nature is something that we can do one step at a time. We have to remember that every step counts! 1. Tigi Love, Peace and the Planet is a range of superior quality hair care products that make earth friendly packaging their number one priority. And not only does each eco-friendly bottle, tub or tube use only a minimal amount of synthetic material, but each product sports as many fresh and natural ingredients as possible. Hug a tree with every style! Click here to get started. 2. Get Fresh Santa Monica Lifestyle Reusable Shoppers feature fabulously stylish designs on strong, market quality tote bags. Save the earth using one less plastic bag at a time! These are reasonably priced and HUGE! Perfect for groceries. Click here to see them! 3. Organic Grooming is a men’s product line featuring incredible organic products that carefully consider the earth when producing and packaging their products. Many products, including their triple milled bar soap, uses completely biodegradable packaging, even printed in soy ink! Click here to see all of their products. After being cooped up during the winter, I desire nothing more than something fresh once March hits. I start eating as much fruit as I can get my hands on, and I look forward to the first warm day when I can throw my windows open! My skin, I’ve found, has those same freshness cravings. So many of the products and soaps I use on my skin contain harsh chemicals. I may look the way I want, but some of those ingredients can simply wreak havoc on my body. Luckily, Fresh Body Market offers a complete line of fresh-off-the-shelves bath and body products made of organic, natural ingredients. Each product is even packaged in a market-like container, to remind you and your loved ones that they are using the freshest formulas available to nurture and pamper your skin. This month at Beauty of a Site, we’re offering all Fresh Body Market products at 10% off. It’s the perfect opportunity to give your skin that freshness it’s been yearning for. Not sure where to start? Our best selling product at Beauty of a Site is the Chocolate Milk Bath (pictured right). A perfect way to spend a relaxing afternoon, this adorable bubble bath looks just like jug of chocolate milk! ( Also available in coconut and strawberry). Fresh Body Market products are not the only sale items this month. Check out our Monthly Specials page (click here!) to see which other featured items you can save on! Rescue Thinning Hair & Look Your Best! With Valentine’s Day around the corner, it’s important to clean up your look for the lovely lady (or handsome man!) in your life. For many, this includes dealing with the frustrations of thinning hair or receding hairlines. At Beauty of a Site, we’ve seen incredible results with one of our newest products- Clinicure, by Joico. This revolutionary line of products for thinning hair uses a completely botanical formula that combines proven natural ingredients along with cutting edge science. Resulting in an extremely effective product (without harmful chemicals) Clinicure promises to help produce thicker hair- at different stages of hair loss! Part of the effectiveness of Clinicure’s formula is its attention to individual needs, and the realization that at every stage of hair loss, different formulas are necessary. Thus, Clinicure offers products for early stages of hair loss as well as advanced stages. Have chemically processed hair? Clinicure also divides its formulas up into natural hair & chemical processed hair, to make sure that the ingredients create the optimum hair growth in your individual hair situation. The easiest way to enjoy the immediate results of Clinicure is to try one of their four starter kits, which include all three products to nurture and strengthen your hair. Choose either natural or chemically processed hair, and then whether your hair is in the early or later stages of thinning. Use your starter kit daily and watch for incredible results! Click here to browse all of our Clinicure products! For tips on when and how to use each product, check the bottom of the description for each product at Beauty of a Site. New for Fall 2009, Beauty of a Site announced our more recent product addition: IKove by Florestas. This range of haircare, skincare and bath & body products is completely organic and natural, using a botanical base full of oils and extracts from the forests of the Amazon. We have to label IKove products as some of the most guilt free beauty products we’ve ever seen. A socially responsible company, IKove is dedicated to growing the economy of the Amazon, allowing local villages to stop cutting down trees and protect the region’s beautiful and rare rainforests. The company uses certified organic ingredients, avoids synthetics and potentially harmful chemicals, while also avoiding any animal ingredients. IKove also strives to use as many certified fair trade ingredients as possible. The lush and luxurious ingredients in the IKove products are what truly set them apart as unique- as must-haves! Acai Berry is one of IKove’s favorite ingredients, an Amazonian palm berry harvested from the forests of Brazil. Totally PACKED with antioxidants, fatty acids & omegas, Acai Berry is truly a miracle fruit, fighting premature aging and encouraging healthy skin. We’re totally excited about these new products and hope that you are too! If you’ve tried, please let us know what you think! You can see all of the IKove products here.